During his latest tour, Xian here seen serenading a little adorable girl. And the cute one loved it! charingylagan Uyyy! gusto na,nya mgkarong ng baby!! Pwede.nmn cguradong cute.na cute. Chiuper cute Xi!!! hehe. totoo nmng cute. dianasuechiu_ Pati mga bata Xi, love love ka! zeny_catambay The little dancing girl. Panay ang sayaw niya habang kumakanta si Xian. dr.tess Even the kids feel how sincere you are in showing your love and care for them aside from the fact that the kids get attracted to your extreme good looks,neatness, nice smell,charming personality and the like. Xian Lim, the only artist, actor, celebrity to break the mold of what it means to be in showbiz. One, he has many talents. He can live outside the 4 corners of showbiz. Two, he is more than an on-screen partner. He is a keeper, for real and for life. Three, well-rounded guy, from arts to athleticism, communications and intelligence. Four, effective credible endorser, trusted by consumers, followers and brands. And five, most important of all, his outstanding character, down to earth, secure and family oriented. What other traits do you like about Xi? Xian Lim gave Cebuanos an early Christmas treat with his Cebu leg of A Magical Evening tour. Xi entertained the crowd with his singing prowess and of course his mastery in multiple instruments. He even included an audience participation in the form of a skit in which the selected audience members gamely acted. Of course Xi’s fans were there to support with some flying from Manila. During a spiel, Xian revealed he will be doing a movie in 2017. He wrapped up the show with a crowd selfie and he even came to the audience to reach out and take photos with him. 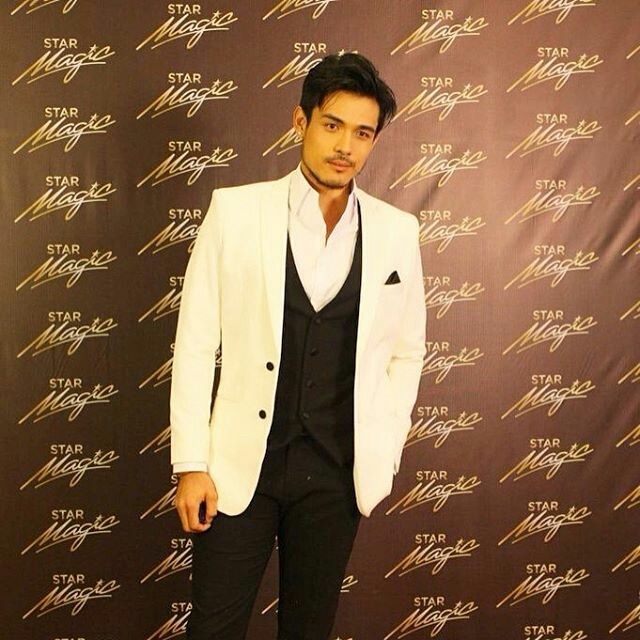 A Magical Evening indeed only a multi talented, generous and universally rounded Xian Lim can deliver. “The story is about two lonely people who escaped to the country side in search for escape. Then they find common ground in the fact that pareho silang may tinatakasan. So the story will answer the question kaya ba nilang magpatuloy sa relationship nila if it is based on escapism. “Ang pangalan ko dito ay si Bern. Si Bern ay writer. And finds a girl and falls deeply in love with this girl.The question kailan mo na ba dapat harapin ang problema mo.” – Xian Lim on his role. Updated: Xian Lim is not endorsing this product and it is not an official merchandise. It is sold by third party supplier named “Sunshine T Shirts” on Amazon. This page does not sell the product and is only sold via Amazon via the link below. Please be guided. Amazon Fashion store has started selling just recently a Xian Lim-inspired shirt and ships worldwide. With a price range from $19.97 – $20.97, the merch is available in different sizes. It is made from 100 percent cotton and quality graphics print that do not fade and is already pre-shrunk. Sunshine T Shirts is a seller in the international Fashion store. *featured photo not part of the actual product sold. Link to Amazon Fashion provided above. Item supplied by third party seller on Amazon. From @teamgelxi – #XianLim #StarMagicBall2016  handsome!